The Paradis Latin is the most Parisian of the great cabarets. Get ready for a night with delicious food, champagne, and magnificent entertainment. The theater, built by Gustave Eiffel in 1889, is considered a national landmark. Today, it hosts the hit show 'Paradis à la Folie'. 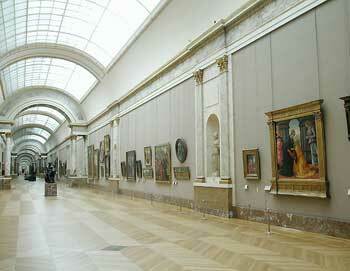 The show contains prestigious artists and is acclaimed by guests from all over the world. The performances are unfolded in authentic surroundings and are a fabulous cocktail of modern ballets, lavish fanfares, and musical comedy. The show also features the very famous French can-can. The Paradis Latin combines quality dining, personal service and a stunning revue guarantee you an unforgettable evening. 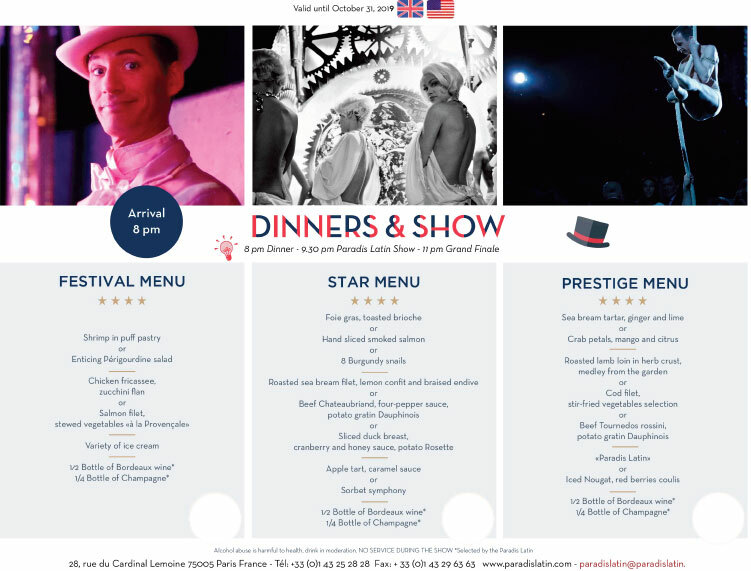 You can choose between: show only, show & champagne (a glass or 1/2 bottle), show, 1/2 a bottle of champagne & five macarons or show & dinner. Shortly after your booking is complete your e-ticket will be sent directly to your email, just print it out and bring it with you to the theater. The Paradis Latin is located right in the heart of Paris, approx. 500 meters from Notre Dame, in the famous Quartier Latin. Just a few minutes walk from two metro stations (Carinal Lemoine line 10 and Jussieu line 7 and 10). The show is 1.5 hour. The Paradis Latin requires an appropriate attire, tie and jacket are not mandatory, but shorts, sports gear or tennis shoes and sneakers are not accepted. Dinner is at 8 PM. The show starts at 9:30 PM and the grand finale at 11 PM. The Paradis Latin is closed on Tuesdays.